Live Oak School is a strong community of students, staff, and families. Together, we work to create a compelling and challenging learning environment inspired by progressive thought and grounded in shared values. Our students engage joyfully in the learning process, and benefit from direct experience, exploration, and hands-on learning. They work cooperatively with their peers, communicate what they know, ask questions, learn others’ perspectives, and negotiate solutions to solve problems. Every student shares responsibility in maintaining a safe and positive learning environment and actively participates in creating community. 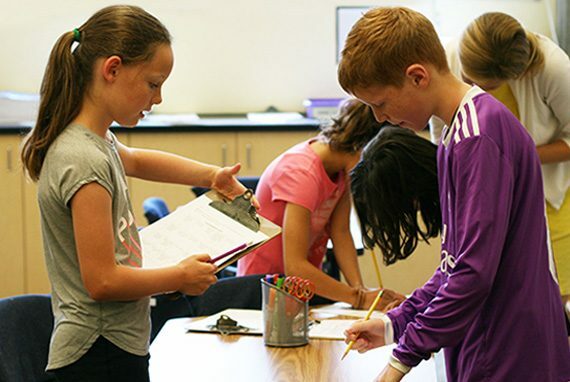 Live Oak faculty understands that learning happens when students are actively engaged in the process and are motivated through natural curiosity. 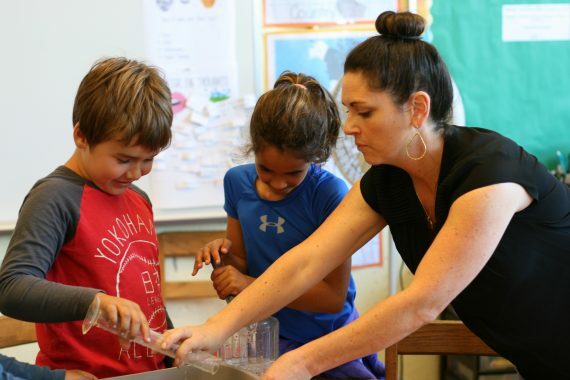 We believe the teacher’s role is to provide a stimulating and supportive environment in which students can ask questions, think critically, take risks, and construct their own knowledge. Our academic programs are responsive to students’ individual needs as well as those of the larger community. At Live Oak, teachers know their students well and differentiate instruction accordingly. Faculty capitalizes on student strengths and interests in order to foster success in meeting academic goals. We are proud to have a dedicated group of lifelong learners, and Live Oak supports their ongoing involvement with reading, researching, and attending classes and conferences. Live Oak families take an active and important role in building a strong, supportive community that facilitates learning. We want our children to possess self-knowledge and an understanding of others, to have good friends and know how to be a good friend, to have the courage to stand up for beliefs but be open to other’s ideas, to show kindness and compassion to others and to feel a commitment to making the world a better place. We embrace our similarities, differences, and unique backgrounds. We understand that childhood is a time to explore, to try new things, to open doors, and to learn about learning. Assessment at Live Oak is a multi-step approach designed to empower students to set individual goals for learning, productively utilize feedback, and build resilience as learners. We provide meaningful, comprehensive, and detailed feedback to all our students. Student progress is communicated through portfolios, regular teacher communication, end of term report cards, and student/parent/teacher conferences. 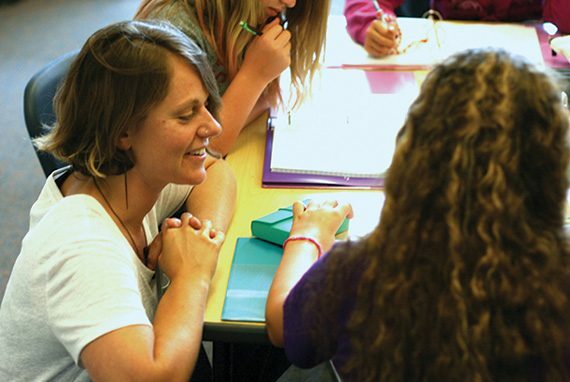 Teachers work collaboratively with students at developmentally-appropriate levels to establish clear learning goals and define criteria for achievement. Students receive regular feedback from teachers on their progress and engage in structured self reflection. By focusing on individual goals, our assessment practices promote a growth mindset, develop student ownership of academic progress, and foster a deep appreciation for the learning process.